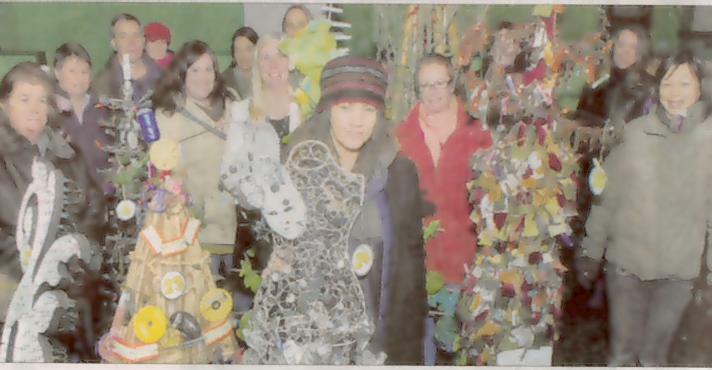 Maiuko with the winning tree and some of the ‘Recycled Tree’ making artists with the trees they entered into the competition. Maiuko won £100 prize for the favourite tree. Mrs A Williams won 2 vouchers to a show at the Quarterhouse. I would like to thank Cheryl Papasian for all her help and all the artists who took part for making it such a great success. 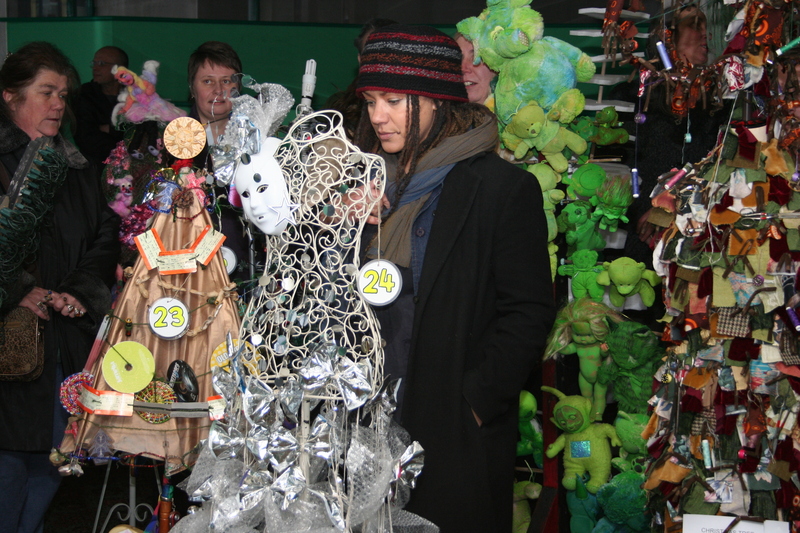 The diverse selection of recycled trees was inspiring to all those who saw them. Thank you Lucy Gradidge for your support. Also thanks must go to the Creative Foundation for providing the prizes and venue that made it all possible. 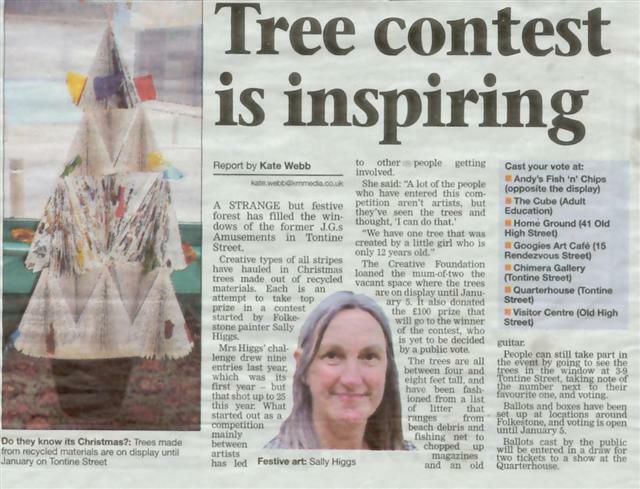 We invite all artists that made Recycled Trees to JGs at 3pm on Tuesday 5th Jan.
£100 prize will be presented to the artist who made the tree that was voted the favourite by the public. Also 2 tickets for a show at the Quarterhouse will be given to the winner of the draw of those who voted. Hopefully the Press will be there to take some photos. You are currently browsing the paints.uk.com blog archives for January, 2010.